The time is 2019, and as an audience member and lover of film and cinema in a contemporary world, one has to understand and come to terms with the fact that superhero films are here, and seem to be here to stay for an unforeseen future. While many claim to be tired and exasperated with the not so recent trend of the superhero genre, it seems that the numbers don’t really reflect the attitudes. While sighs are heard every time a new trailer for a Marvel or DC Universe film is revealed from a majority, the box office for these films just keep getting bigger and bigger with each new character, entry, sequel or prequel. Yet, while Marvel and DC aren’t the only ones pumping out superhero films, and well before the Marvel Cinematic Universe became nomenclature for many, it seems that M. Night Shaymalan was well ahead of the curb when it came to creating his own universe of superheroes and villains, we just were not aware of it at the time. While Split revealed a very exciting fact in the closing credits scene, it seems that the secret is out on Glass, Shaymalan’s newest film. 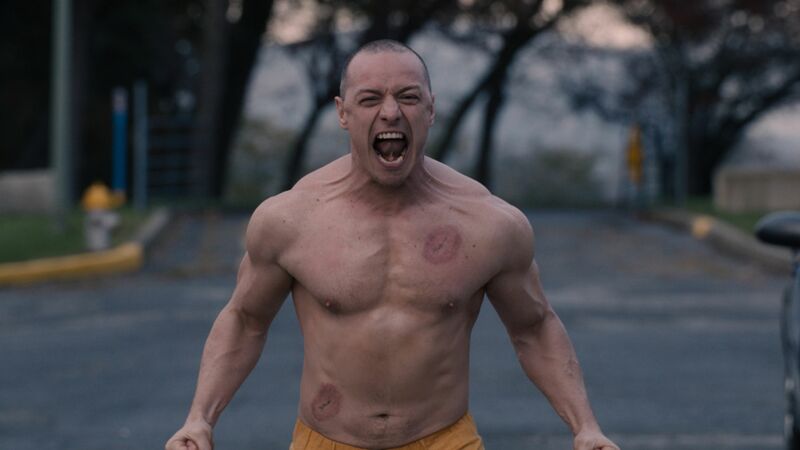 Less of an emotional twist ending and more of a narrative one, Split revealed that the film existed in the same universe as Shaymalan’s highly applauded and loved origin superhero film Unbreakable. Yet, while many believed that Shaymalan’s golden days were behind him as a director, Split seemed to have revived the once untouchable then plagued director back into the spotlight. After the massive success of Split and the idea to connect his two creations into one universe and have them collide in Glass, was a risk the studio was willing to make, especially given the director’s modest budgeting range. While Unbreakable was made on an unusually large $75 million dollar budget back in 2000 (which was unheard of then, but thanks to the immense success of The Sixth Sense, studios were hopeful), the film only brought in only $250 million worldwide, which only paled in comparison to the director’s hit The Sixth Sense, a film that brought in almost $700 million on a miniature $40 million budget. Yet, after a string of massive critical failures, including Lady In The Water, The Happening, The Last Airbender and After Earth, with only one of those films being a box office slump in Lady In The Water, Shaymalan went from critical darling and wonder-kid, to a running gag within the film industry. Yet, after almost a decade of making terrible films, Shaymalan resilience brought him a return to form, thanks to his comeback film and going back to his horror roots with the low-budget indie film The Visit, thus resurrecting the once ostracized filmmaker. With new life and his origin intentions of creating a trilogy based superhero universe well before Marvel and Kevin Feige was even in the picture, Shaymalan began extending his superhero world with Split, unknown to audiences at the time. With a budget of only $9 million dollars, Shaymalan focused less on spectacle and created a superhero universe grounded in character study and depth; focusing more on ‘what’ makes a superhero/villain as opposed to the challenges they face once they are fully evolved. 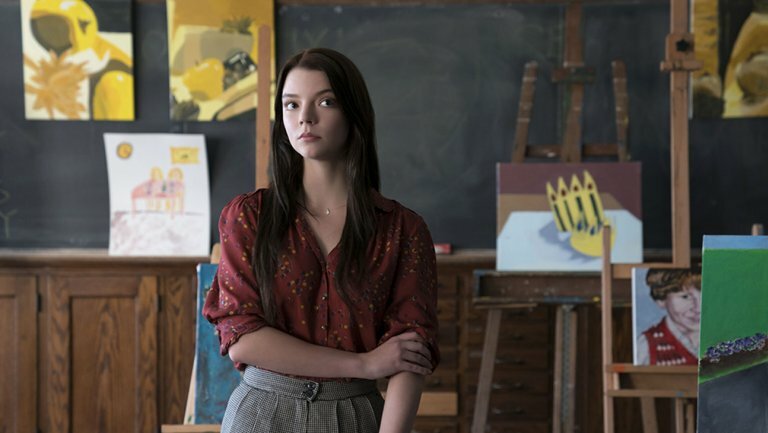 For Glass, another modest budget of $20 million shows just how little faith the Hollywood studios have in the once dominating director, especially when that amount of money barely pays for a headlining actor or a marketing budget. Yet, nineteen years later, here we are with Glass, the finale of what’s being called the East Rail 177 trilogy. Dissecting Glass for too long, one may very well make the whole film shatter; but as fragile and tempered the film really is, the ambition behind an almost two decade long dream, is quite remarkable, especially during a time where superhero films are pumped out faster than human life is. One of the many satisfying factors of Glass is Shaymalan’s ability to round-up characters from the first two films, and each character never skipping a beat in Glass; the performances are easily the best parts of the film. Picking up right where Split left off, David Dunn (Bruce Willis) and his sidekick son and tech savvy partner, providing Dunn with his eyes and ears, Joseph Dunn (Spencer Treat Clark, the original son in Unbreakable which was great to see) use the internet, social media and surveillance technology as tools towards capturing the troubled Kevin Wendell Crumb (James McAvoy). 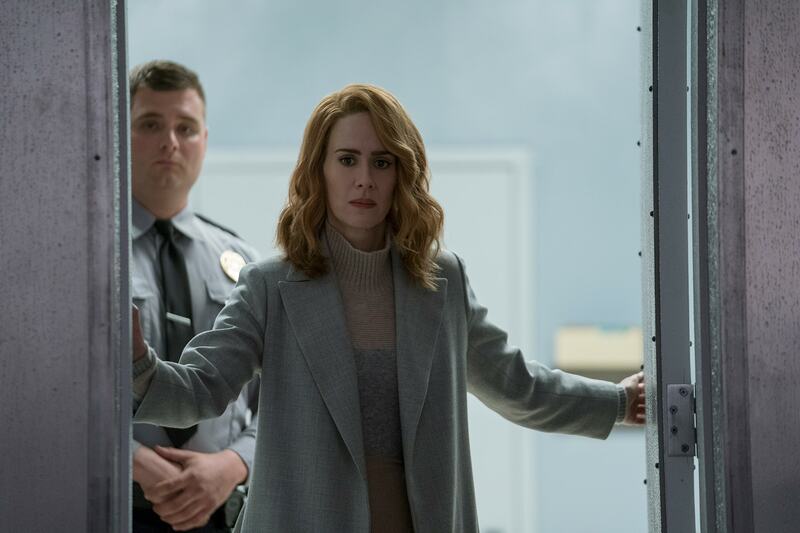 After successfully tracking down Crumb before he takes the lives of another innocent group of teenage girls, Dunn and Crumb engage in a very muted and underwhelming face-off, until they are both captured by the authorities, accompanied by “comic-book therapist” Dr. Ellie Staple (Sarah Paulson). Brought to a psychiatric ward where Dr.Staple is keen on giving realization that both men are in fact not superhuman, they both soon realize that Elijah Price aka Mister Glass (Samuel L. Jackson) is in the same hospital following his terrifying acts in Unbreakable. As the plot plays out, Elijah’s still obsessive motive to prove to the world that super good guys and sinister bad guys exist, Mister Glass schemes up an elaborate plan to get Dunn and Crumb fight it out, for all the world to see. 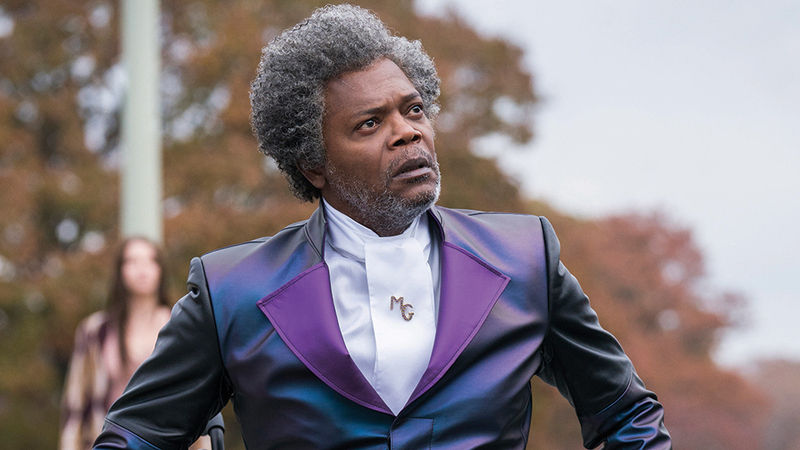 While Glass is no where as superior to Unbreakable or Split, kudos needs to be given to Shyamalan for transforming a genre of popular film by focusing less on the action set pieces and more on the characters with these amazing and unique abilities. Now, whether or not this is because of his lack of budget, because we all know what he did with the $150 million budget of The Last Airbender, perhaps this is Shaymalan’s niche after all? Shaymalan delivers what we like to call, grass-roots super hero films, and he does it with elegance and grace, except when he is trying to tying them all together as he does with Glass. While Glass is the third (and perhaps final) entry of the East Rail 177 trilogy, the film feels more like a condensed sequel. Although Shyamalan ties in references to Unbreakable in Glass, there is no question that the filmmaker has a hefty job of juggling so many important characters into a very respectable comic book runtime. Yet, the more and more we get with McAvoy and his highly tormented character, the more and more we are engaged with Glass. It comes without question that all three male leads are exceptional in the film, but McAvoy shines as always, juggling multiple personalities, in an instant, almost effortlessly. Since it is no surprise now, given Shaymalan’s extensive filmography, that the director is highly influences by the likes of Hitchcock, Shyamalan has an affinity for the renown filmmaker just in McAvoy’s character alone, sending reminders of a very familiar Norman Bates in Psycho, specifically Kevin’s personality known as Patricia, proving a clear homage to one of his great idols. Yet although Shaymalan is directly influenced by some of the most respected, it comes to no surprise that his writing always seems to be some of the critics toughest pill to swallow. Oozing with constant comic book references as well as heavy-handed pop culture references, the film’s tone suffers from dark, nightmarish comic book noir feels to goofy limited actioner film mess; especially given the large and hugely promising idea of the final square off between Dunn and Crumb, which hardly and almost never comes. Instead, Shyamalan employs the use of interminable drawn out Average Shot Lengths (ALS) with his ALS striking comparison with films circa 1940 to the 1960’s. Now, whether or not this stylistic choice again alludes to the directors need to praise his admirers, or due to a lack of budget, but the film’s action set pieces seem all too restrained and something left to be desired of audience members. Glass stills has great moments and aspects that really become effervescent within the comic book genre. From West Dylan Thordson magnifying score, blending heavy violin stabs and eerie buildups scream similar to the work of the late great Bernard Herrmann, to some truly fantastic ideas of the film starting off as a comic book film set in a real world where medicine, science and fiction collide, Shaymalan offers a lot of meaty and thoughtful material with Glass. 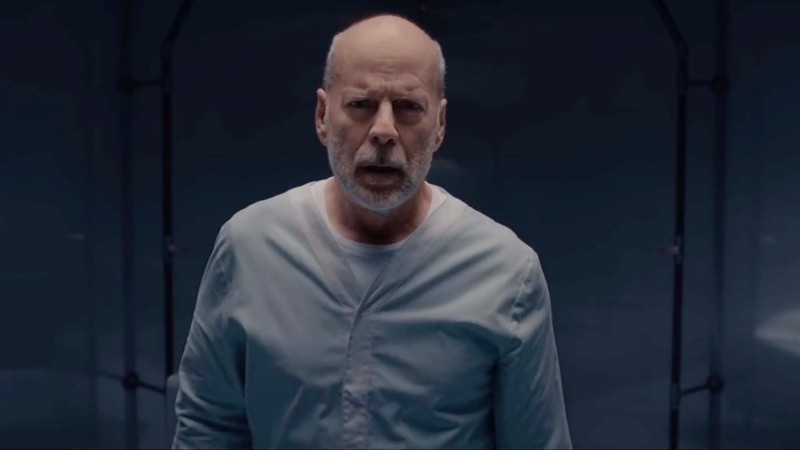 Glass then becomes a culmination of a Roman drama; crisis and sovereign Shyamalan plot twists make the finale something unique and different, for comic book films today. Essentially, Shyamalan does exactly what we want him to do; provide us with characters we know and love, build up tension, drama and action, and knock our socks off with some mind-bending and twisted surprise ending. Glass, as a thriller hits all of the right notes. As the director basks in his passionate territory of cinema– Glass makes one thing clear, and that’s M. Night’s love for comic books. Glass allows the director to geek out on his truly cerebral first love. Glass is fresh, supernatural, dark yet at times comedic look into the world of heroes and villains, the ideas of mental illness and the expectations of society, our expectations as an audience and a genre of cinema that will live on far longer than us, in the cinematic history books for generations to come. Night Film Reviews: 6 Out Of 10 Stars! What did you think of Glass? Shattered mess or fine china? Are you glad we had to wait nineteen years for the director to finally tie everything in from Unbreakable? Is Glass a worthy predecessor to Split? Leave you remnants of thoughts below!